Made abut 1910 to hold sheet music, this file cabinet has shelves that automatically fan out when the door is opened. 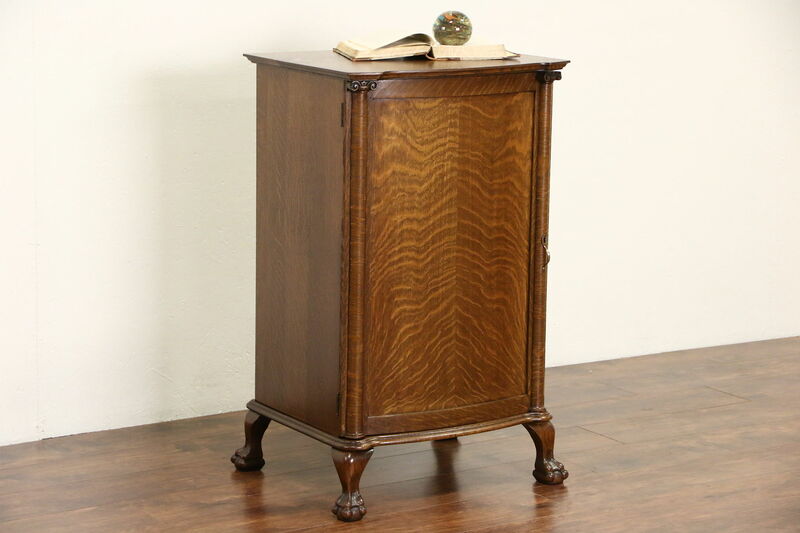 Carved of quarter sawn oak, the restored finish is in excellent condition on this American made antique furniture. There are shrinkage separations from age, see photos. Traditional claw and ball feet and the curved door between columns are authentic. Dimensions are 24" wide, 21" deep and 39" tall.